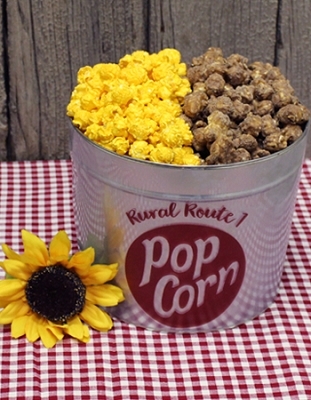 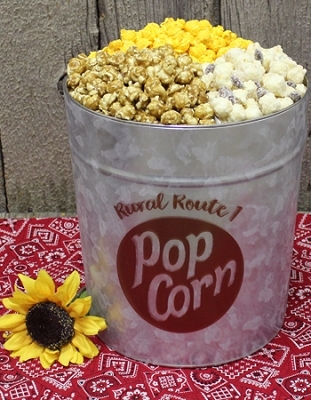 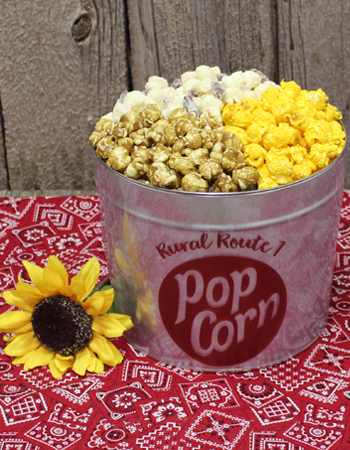 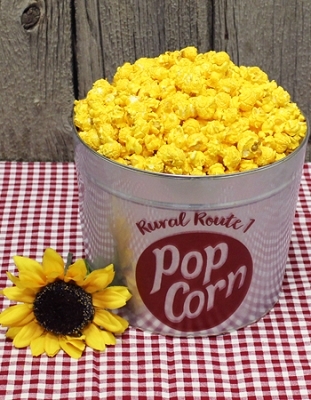 This 2 gallon Signature Rural Route 1 Tin features one of our MOST Popular Combination. 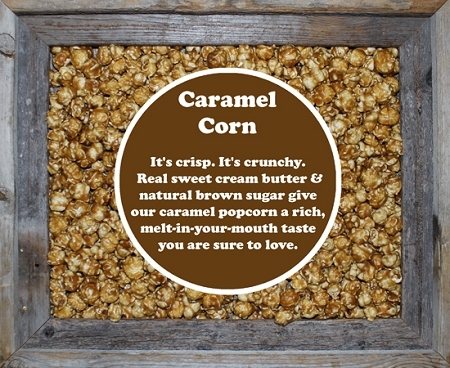 Classic Caramel - Sweet and Buttery, just like Grandma's. 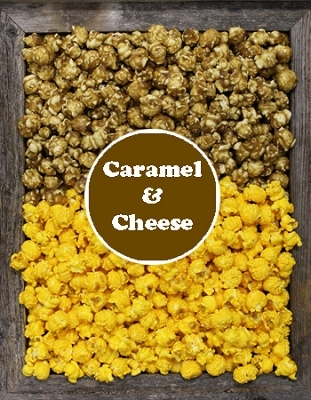 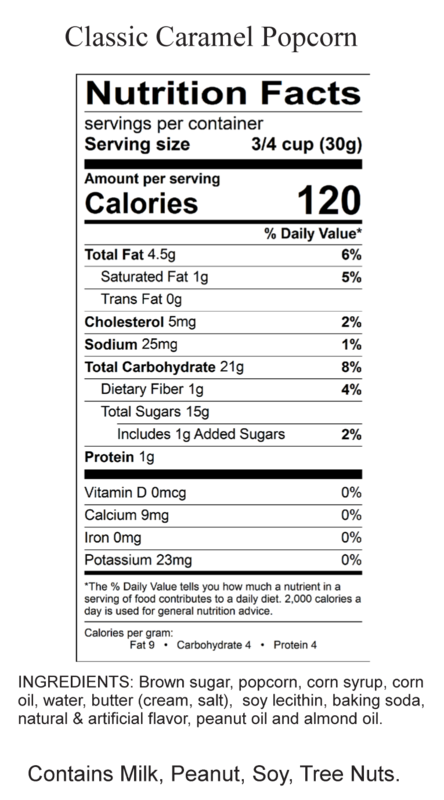 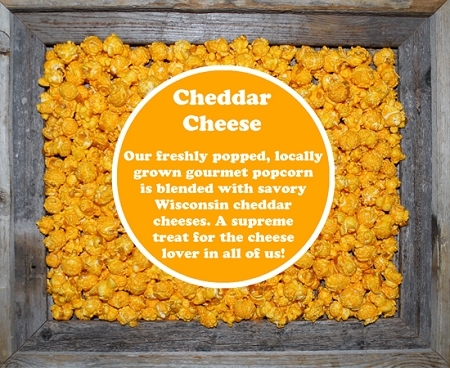 Cheddar Cheese Corn - Made from Wisconsin Cheddar, it is the Cheesiest! 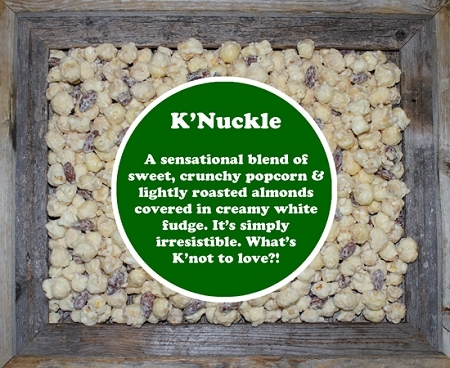 K'Nuckle - Our original fudge recipe, Popcorn drenched in White Fudge with Almonds. 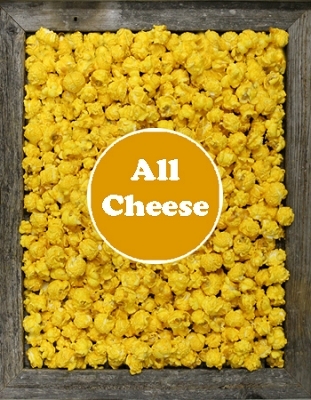 Delectable!! 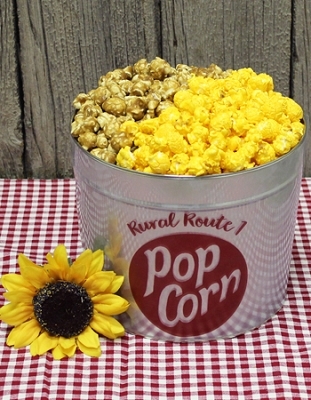 This tin contains approximately 35 Cups of popcorn. 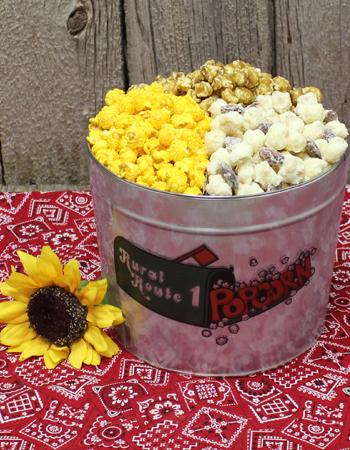 Perfect gift for any occasion!